1. Each reinforcing ply individually end-wrapped to defect tire flexing stresses in a unique manner. 2. Tie-gum construction eliminates the potential for delamination common in competitive products. Excellent quality, similar to Rema Tip Top and Tech; Samples can be sent for customer's testing and evaluation. 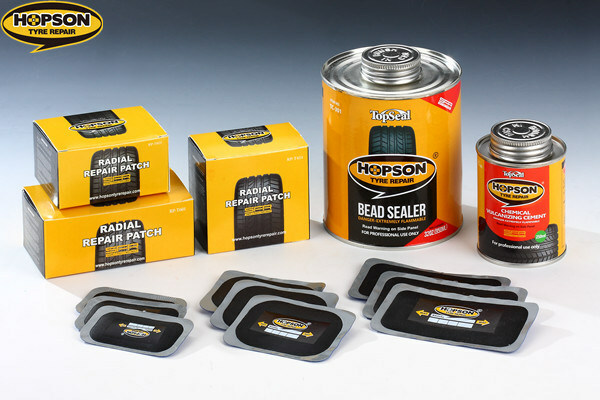 HOPSON offers a variety of radial-ply repair units to meet the diverse demands of today's passenger, truck, and OTR tire applications. 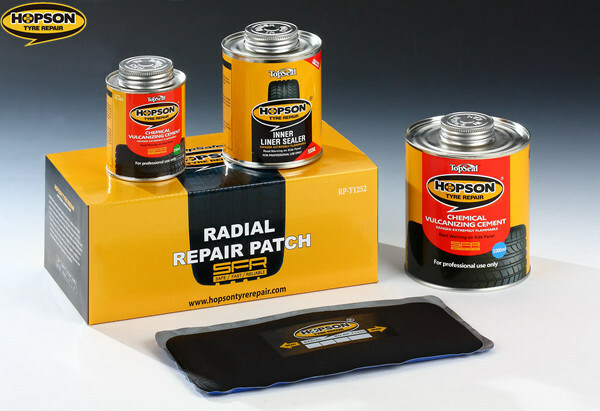 HOPSON radial repair patches are thick, rubber-reinforced patches which allow placement on the tyre in any direction. A special compounding and design allow the repair unit to flex and resist heat, assuring a permanent repair. 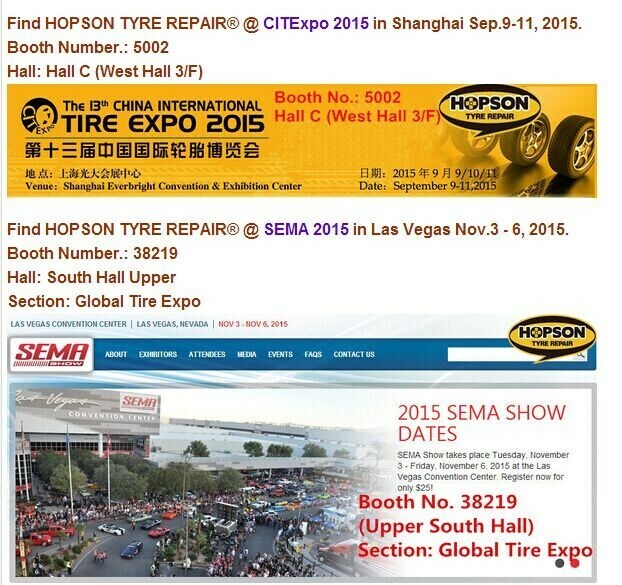 Inspect tyre for repairability using tyre manufacturer of HOPSON LAB guideline. If repairable, mark injury with crayon and carefully remove injuring object. Probe injury to determine exact size and direction, removing all deris. Select the appropriate repair patch for injury and type of tire. Apply prebuff cleaner to repair area and use rubber scraper to remove dirt and mold lubricants. Using carbide cutter, drill injury channel 3 times from inside then 3 times fron outside, making sure all damaged and rusted cables have been removed and only good rubber remains. Cement the injury channel with Chemical Vulcanizing Cement and install the appropriate vulcanizing insert. Trim flush with the tire innerliner. Mechanically buff outlined repair area to a velvet-like texture. Remove buffing dust with a clean brush or vacuum. Apply Chemical Vulcanizing Cement to buffed area, working into rubber and ALLOW TO DRY THOROUGHLY. Remove backing and center repair patch over injury and thoroughly stitch down from center out to remove trapped air. Finish repair by applying Inner Liner Sealer around edge of repair patch and to overbuff area.